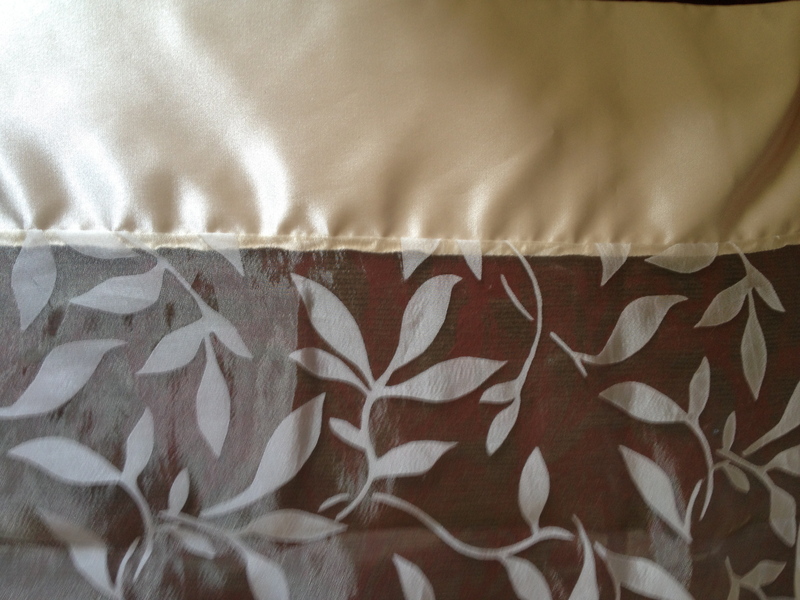 Gorgeous ivory leaf embossed sheer with ivory satin trim. 85" square. Rents for $12.00 each.